Zara recently made news when some of the company’s factory workers who were working for the now-defunct manufacturing company Bravo, in Istanbul, placed cries for help via garment tag in clothing. The tags read, “I made this item you are going to buy, but I didn’t get paid for it,” reports Teen Vogue. The workers were owed three months pay and severance. Although Zara’s parent company, Inditex, has since issued a formal statement saying it’s setting up a “hardship fund” to cover the workers’ losses, this news inspired us to reach out to diverse and conscious brands. The following list contains brands that “do good” and the products the companies sell. Maple Holistics is dedicated to providing consumers with all-natural and cruelty-free personal care products. “We feel an enormous sense of responsibility to do as good of a job as possible for the sake of not only running a successful business, but to help make the world a better place,” says Caleb Ellis, environmental expert for Maple Holistics. 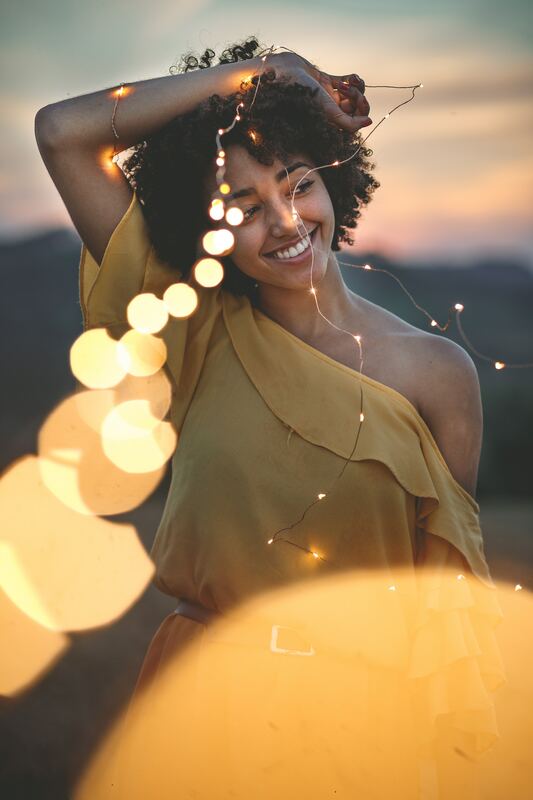 Maple Holistics’ Argan shampoo formula provides benefits via six of the most effective oils for hair and scalp health: argan oil, peach kernel oil, almond oil, jojoba oil, camellia seed oil, and avocado oil. 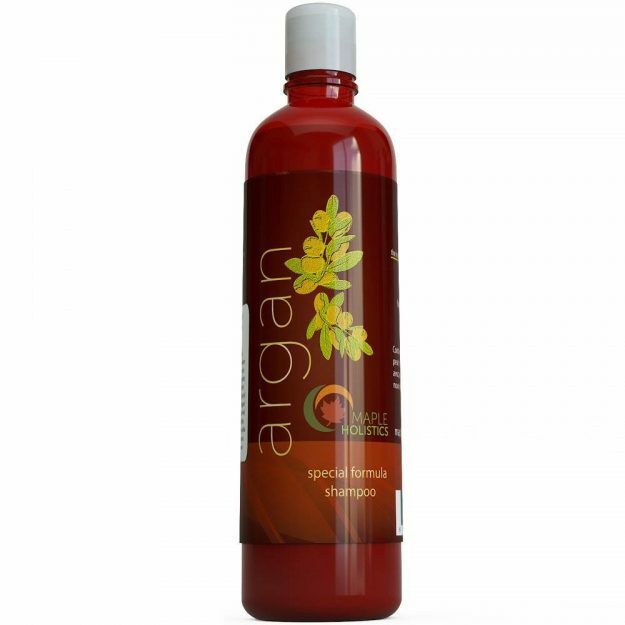 Also, for every bottle of Argan shampoo sold, the company donates $1 to the National Coalition Against Domestic Violence. Priced at $9.99. Ann Thariani, president of Gilden Tree, Inc., and Kumy, her husband, founded Gilden Tree in 1990 in Omaha, Nebraska. The company makes natural and organic foot care products, and natural cotton waffle weave bath towels and robes. Called “The Best” by “O”, the Oprah Magazine, Gilden Tree’s two-sided Foot Scrubber works to cleanse, exfoliate, and smooth skin. Used regularly, it helps remove calluses, and reduces dry, cracked heels. “Hand-formed by artisan women in Pakistan, our Foot Scrubber is made of terra-cotta, sun-dried, and kiln-fired so it will never wear away or disintegrate like normal pumice stones do,” adds Ann Thariani. 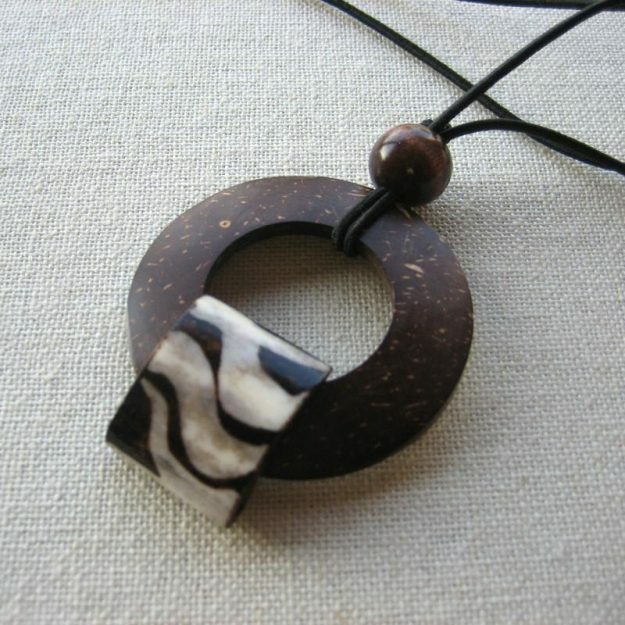 In addition, a portion of each sale helps educate children in Pakistan. Priced at $12. HoodLamb, a sustainable brand from Amsterdam, is a pioneer in hemp fashion. The company created Hempulose, a weather-resistant coating derived from the natural cellulose of the hemp stalk, and Satifur, an ultra-comfortable faux-fur lining made from recycled PET bottles. The above parka features a natural hemp and organic cotton herringbone outer shell. The inner shell is insulated with Thermore® EcoDown®, a duck-less down that resists extreme cold, and is lined with a 7mm pile height natural hemp and recycled PET faux-fur. Also, its hood comes with removable faux-fur trim. Priced at $582.06. Sahara Rose, an independent New York beauty brand, sells handmade products filled with organic ingredients. Most of the company’s products are made in America, but the company also offers authentic, precious oils, such as prickly pear seed oil and argan oil, that are ethically sourced from women cooperatives around the world. The company also sources other raw materials, such as organic rose water, from small scale agriculture. And a portion of the company’s profits goes to the education and school supplies for unprivileged girls in Morocco, says Ikram Elharti, founder of Sahara Rose. 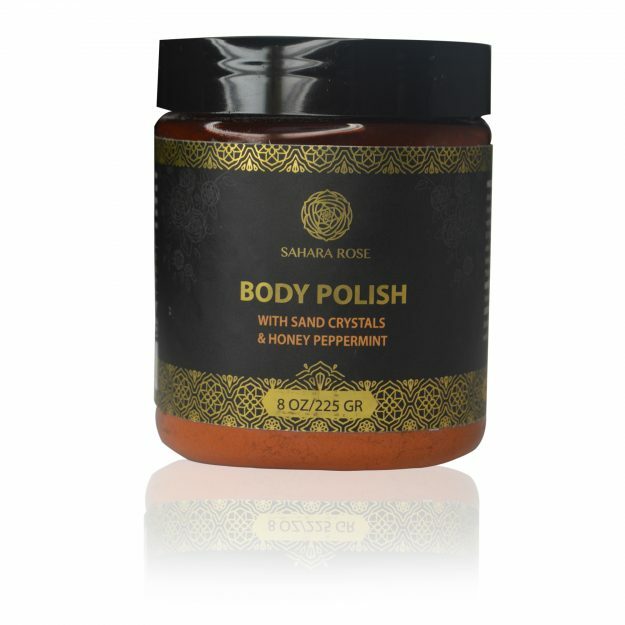 The all-natural body polish is made of fine desert sand crystals, brown sugar, and precious oils. The polish is lightly scented with peppermint essential oil. It’s free of parabens, sulfates, mineral oil, propylene glycol, and phthalates. It’s also cruelty-free. Priced at $36. Loyale is an ethical women’s fashion brand based in San Francisco, California. The clothing line is fair-trade, produced in Valdese, North Carolina. The business aims to create meaningful products, stay transparent about its production process, and contribute to society with mindful production. Loyale also donates $2 from each garment sold to local, national, and global groups that make positive impacts. 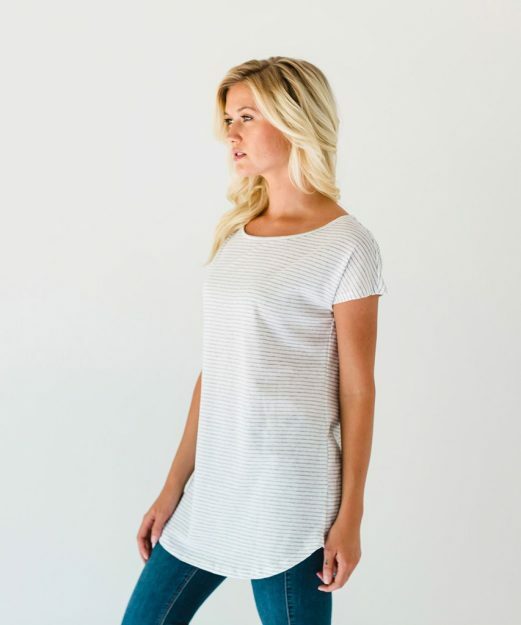 The above tunic features a boatneck and a graceful fit. In addition, the tunic is made from soft, high-quality cotton jersey fabrics that are milled in Japan with state-of-the-art knitting machines. Priced at $134. Purple Impression was founded by Drakshan Khan​ and Afshan Khan, sisters and Muslim designers in the Bay Area. The duo work with women artisans in Pakistan. These artisans hand embroider the Khan sisters’ designs. Drakshan says she and her sister started their company because they’ve seen how middlemen can exploit workers and artists. “Women seem to be the most exploited in any industry and to change this we started the Ethical Stitch Project,” she says. The Project employs women artisans in Pakistan with the mission to provide a direct platform for them to showcase their craft. 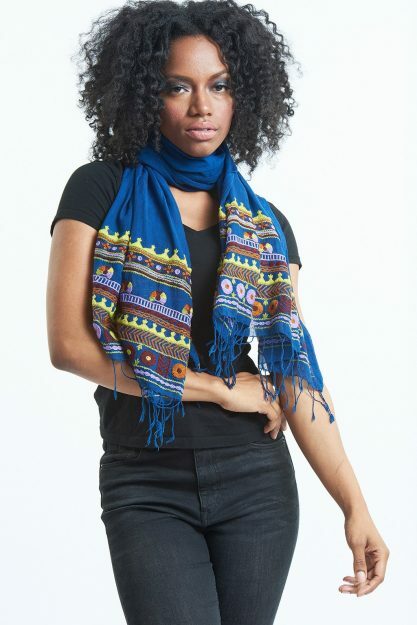 The Regal Scarf is hand-embroidered and made from lightweight cotton Khadi fabric. Also, this fabric will keep the wearer cool in the summer and warm in winter. Priced at $140. 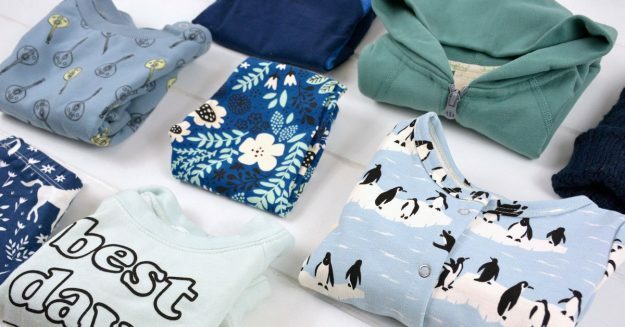 Fresh Little Love is a subscription box service that delivers organic, eco-friendly, ethically-manufactured baby clothes. Nellie Abel, company founder, started her company in April after she had her son. Abel realized how prevalent “fast fashion” is in the children’s clothing industry. Every three months, the company sends its members a seasonally curated capsule wardrobe of six to eight items, all of which are from small brands that meet the company’s eco and social standards. The pictured collection is for “little gals”. Priced at $159. The above accessory is the Rings of Saturn Loc Lasso Hair Tie. This tie is perfect if you prefer to have your locs in a ponytail, bun, or some other type of updo. However, this hair tie also works as a headband and ponytail holder. Priced at $24. MEVEI, an online boutique luxury beauty brand, sells all-natural beauty products filled with botanical ingredients sourced from sustainable farms. “We take pride in going the extra mile when it comes to finding the very best ingredients,” says Rupinder Mangat, founder and CEO at MEVEI, Inc. The above blend, Silken Romantic Sensuality, is perfect for enhancing romance during the holidays. Also, Silken beautifies a person’s skin by adding a flirty glow. Priced at $34.99.